Oprah Reveals She Has a Sister. The news that shocked Oprah as well as her fans was revealed on her show where she decided to let everyone know she has a long lost sister. The moment was a very emotional one for Oprah as well as everyone in the audience so find out more about Oprah's newly discovered sibling! 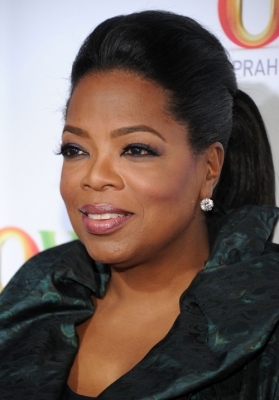 The well known talk show host Oprah Winfrey has managed to shock her fans by announcing on the last season of her show “Oprah”, that she has a sister. The news came like a shock wave as the media guru was thought to have no other living siblings. 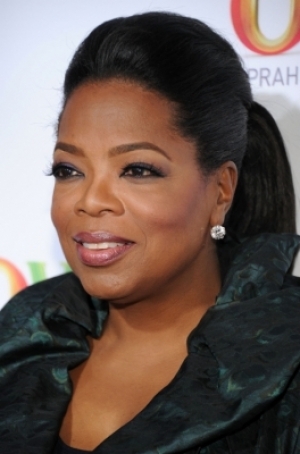 Oprah is definitely one of the most influential people in the world and has a fortune estimated around billions of dollars. She had and still has one of the most amazing careers in the media business, as her show has aired in 1984, and even now it is one of the most viewed talk shows in the world. Oprah revealed she has a sister on her own show, where she had her and her mother as guests. Her sister, actually her half-sister, named Patricia (as Oprah's sister who passed away in 2003), was given up for adoption by Oprah's mom, Vernita Lee, when she was just born. Vernita Lee didn't have a good financial situation back them and so she thought she could not care for the baby. This story was kept buried inside her until Patricia decided she wanted to know more about her background. Patricia, Oprah's half-sister, tried to find out as much details about her biological mother who gave her for adoption in 1963, but the adoption agency told her that the biological mother does not want to meet her. What is stunning is that Oprah was already 9 years old when Patricia was born, but she had no idea that her mother was even pregnant as she was living with her father at the time. She never knew about Patricia's existence until recently, when everything came out but stunningly, not public, but in a very private manner. Patricia first discovered that Oprah Winfrey was her half-sister after watching an interview with Oprah's mother Vernita, which revealed certain details about her family, details which coincided with the little details she had about her biological background. It is then when she made the link but never thought of going public with the story. Patricia could have sold the story and would have probably scored some big bucks by going public but still, she didn't. This is what surprised Oprah, in a very pleasant way. Oprah had a very teary reunion with her half-sister, which Oprah revealed she has known about only since before Thanksgiving last year, in 2010. She is very glad that she has met her and that she was strong as wise enough to keep their family business private and not go to the tabloids. A DNA test has confirmed that Patricia and Oprah Winfrey are half- siblings so things are going to be different from now on for Patricia. Oprah was visibly moved by this and she is probably ecstatic knowing that she is no longer a single child!